As our time here in Mongolia comes to a close, we’re both shocked and unsure of where exactly the whole month went?! 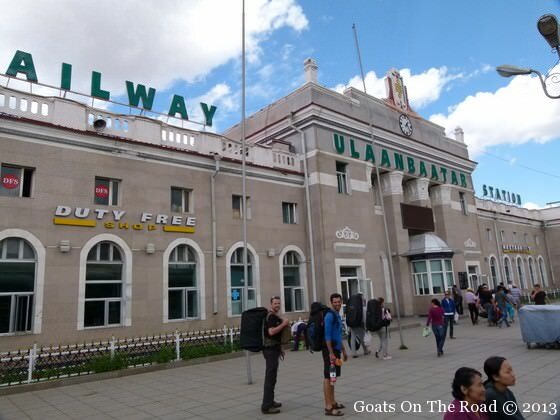 It feels like just yesterday we arrived in Ulan Bator after a 30 hour journey on the Trans-Mongolian Train. Now as we pack up our backpacks and make a plan for our next chapter of travel through Russia, we’ve both been reflecting on our time here with fond memories. 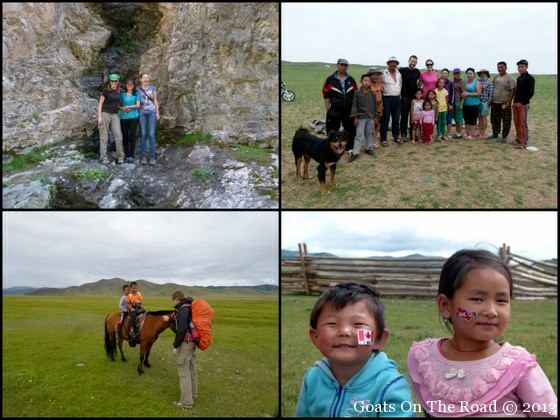 During our 30 days of traveling in Mongolia, we learned so much about the country, the culture and the customs. We were lucky to witness the biggest festival of all, the Naadam Festival and to hear traditional throat singing and see tribal dancing. We helped build a ger from the ground up and were invited into gers of families who have never seen foreigners before, while being showered with gifts, food and hospitality. We navigated our way through massive markets and pondered the past in national museums. We rode horses through canyons and climbed up massive sand dunes in the diverse Gobi Desert. 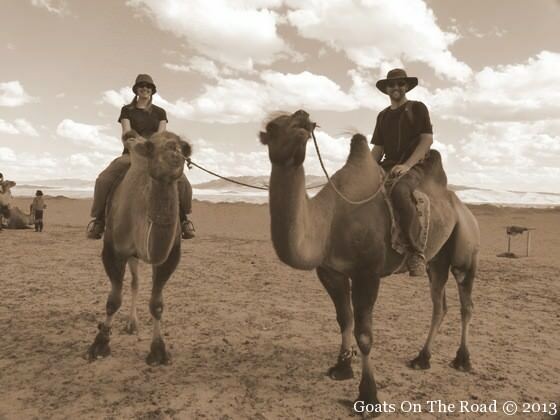 Our 6 day Mongolian desert tour was a lot of fun and an experience we’ll never forget. We used a compass and a map to independently navigate our way through an epic 8 day trek along the Chulut River. We fished, camped, hiked and walked through all sorts of terrain…while enduring torrential downpours of rain. We saw monasteries and mountains, camels and horses, luminous lakes and rushing rivers. 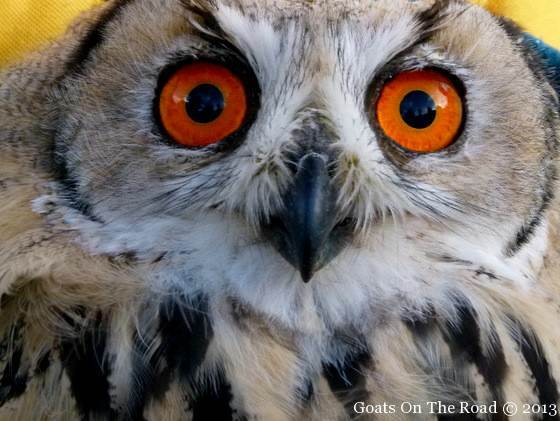 We encountered more goats, cows, yaks and sheep than we could possibly count and witnessed a wild owl being saved from hungry eagles and hawks. We ate mystery meats and dairies of all shapes, sizes and flavours, which made the seriously strange street-food in China seem delicious! We sampled some seriously potent local liquors and sniffed some sketchy snuff. We stayed in ger camps, guesthouses, haunted hotels, hostels and camped under the stars. Our warm and comfy ger for the night! We rode by bus, van, camel, horse, car and train. We met some wonderful people and had nothing but positive experiences in this undiscovered, wild country. The time spent here in Mongolia has been very memorable and even though we’re sad to say goodbye, we know we’ll be back to this mystifying country one day soon. We can’t wait to come back to Mongolia!! Now it’s time for us to embark on our next leg of our travels, we’re hopping on the Trans-Siberian Train and taking the 30+ hour journey to the famous and beautiful Lake Baikal! 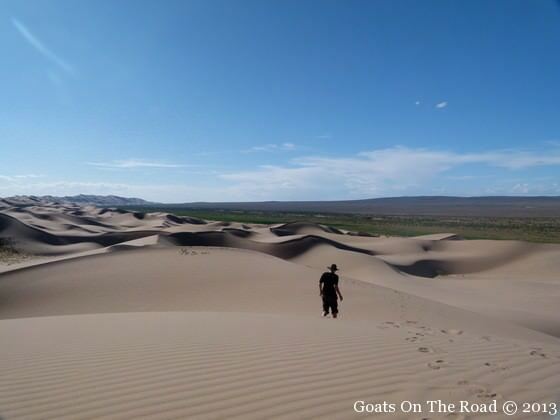 Great pictures, especially loved the one of the Gobi Desert. Nice. 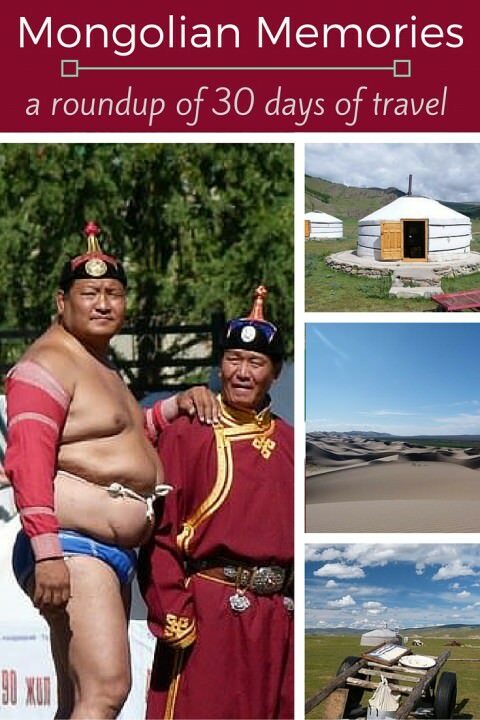 Mongolia is still on my list. I assume you would recommend it. Highly recommended!! We want to go back already. Ya, it’s kinda one of those countries that not many people think of as a top travel destination. However, it’s becoming more and more popular…and for good reason. Our advice? Get there soon! What a wonderful wrap up of your 30 days. 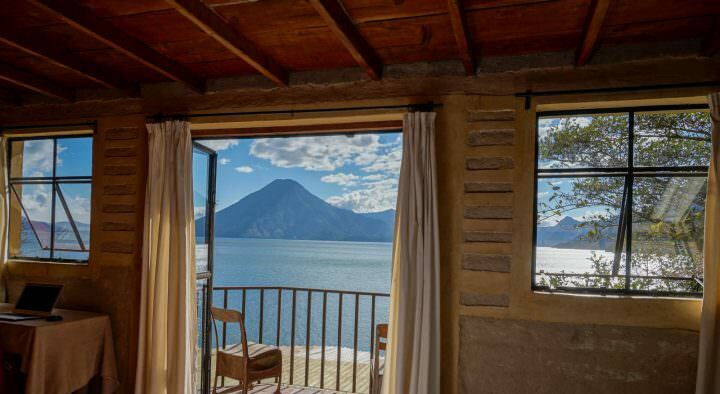 The landscape seems harsh, the people warm and the opportunity to experience “different” off the chart. Thank you for bringing this corner of the world to life for me. It was definitely an “out there” kind of country. 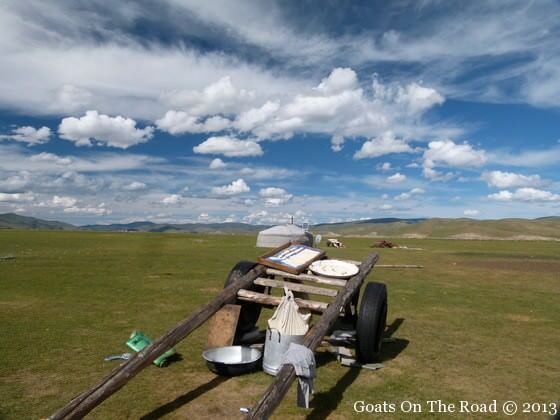 We love off the beaten path places and there are many opportunities to do independent and different things in Mongolia! Your photos reminded me of how wonderful our own trip to Mongolia was. In fact, we’re hoping to go back sometime soon and spend more time in some of our favorite places. 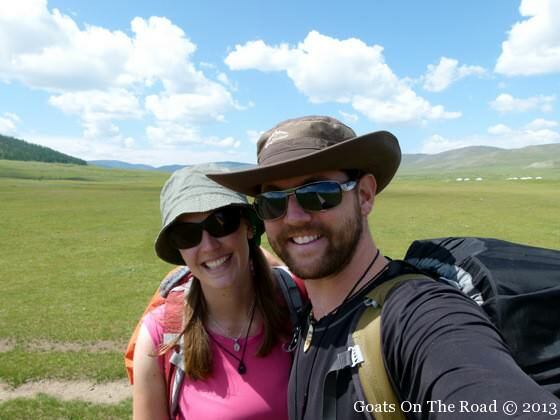 We also didn’t get to go to Naadam, so we still have that on our list! Love your pics! I’m glad I randomly came across this post. It brought back a lot of memories from my trip through Mongolia a few years ago. 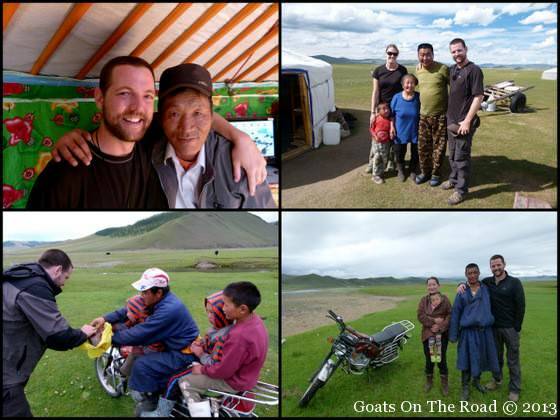 Mongolia is such a wild and untamed place, yet so full of kindness and wonderful experiences. Couldn’t agree with you more Ryan! 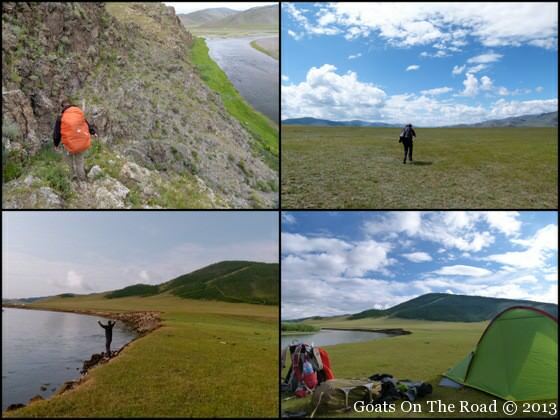 Mongolia is an unbelievable place to travel…we want to go back! This is quite inspiring. Never been to Mongolia and my curiosity to say the least has been piqued, just wondering how it’ll work out traveling solo. It would be no problem being solo. 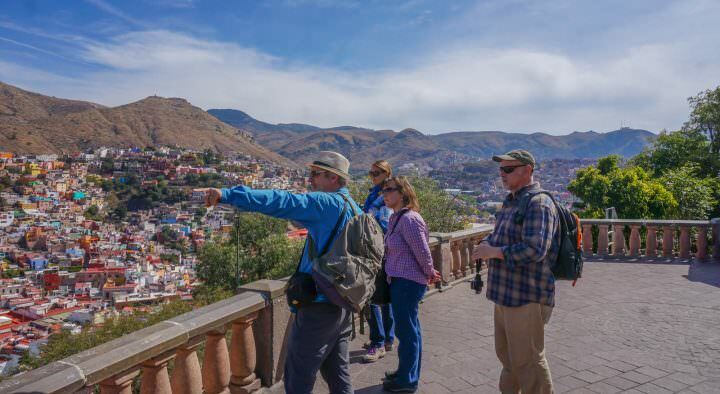 You’d meet people at guesthouses in the cities who you could partner up with if you wanted to go on different excursions (Gobi Desert, Lakes, etc.) Or, you could just travel by yourself! I’ve heard nothing but incredible things about Mongolia, but the food really does scare me (and I’m not usually one to not try new foods!). The pictures really do show an interesting place, to say the least! 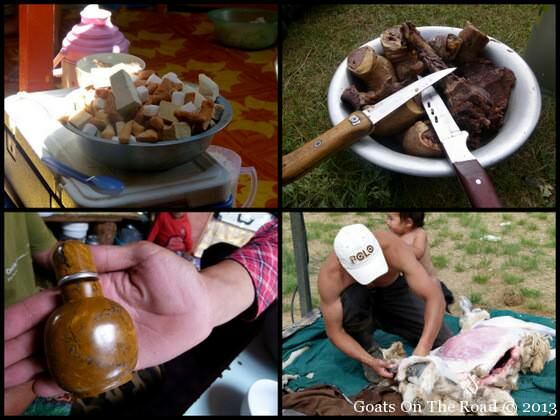 haha, ya, you don’t exactly come to Mongolia for culinary reasons! They eat out of necessity, not out of joy for food (in the countryside anyways). They eat every bit of the animal, which is a good thing, but not something we’re used to. There’s no seasoning on anything either. I personally didn’t enjoy many of the dishes, but Nick was fine! It really depends on what you want to see and do when you’re in Mongolia. 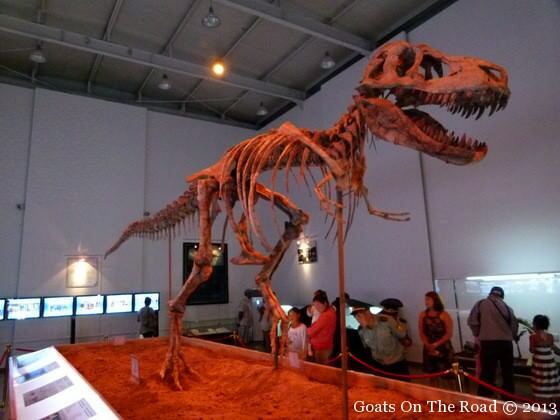 We arranged our Gobi Tour when we got to Ulanbaatar. That’s the best way to do it, you’ll pay less money and you can see the driver and vehicle you’ll be taking. 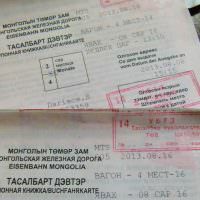 We took local buses between Tsetserleg and UB. We took a shared car from Tsetserleg to the small village of Chalut Sum where we started our 8 day solo trek. 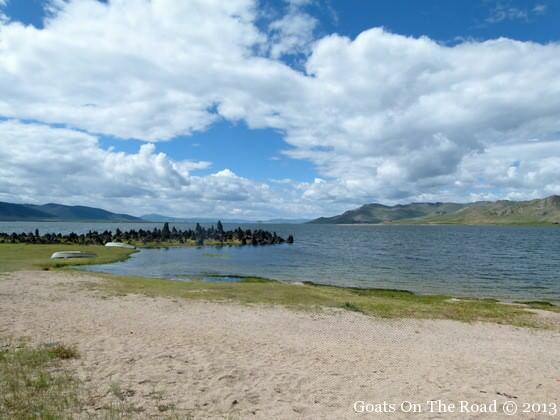 We hitch hiked back from Tsagan Nuur (White Lake) to Tsetserleg. We took a local bus to and from Teralj National Park to UB. So, as you can see…it can be done, but it can also be a bit difficult depending on where you want to go! If you want to go up to see the Reindeer Tribes, I’m pretty sure you need a guide and driver (but check into that to make sure). If you want to go to Hogsvol Lake, you can take a bus…a very long one. 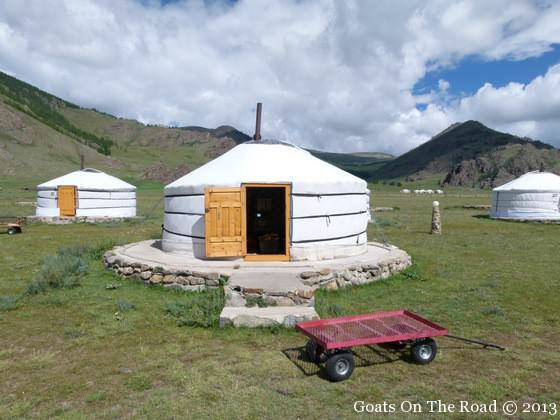 You can also do tours there, again, you can book in Mongolia. I hope this helps! 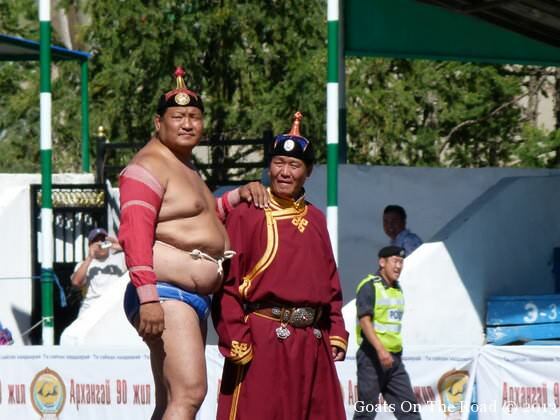 Naadam Festival is awesome. Hi Nick , greeting from Malaysia here . I read all your Mongolia posts , all your journeys were amazing ! Just wonder will Mandarin accessible in Mongolia ? I am keen to plan a trip to there ( most likely next year September) . I am having dilemma to choose inner Mongolia or from central to outer Mongolia . 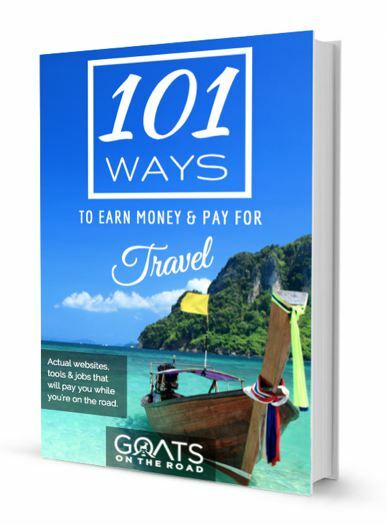 I have limit travel time which around 10/9 days . 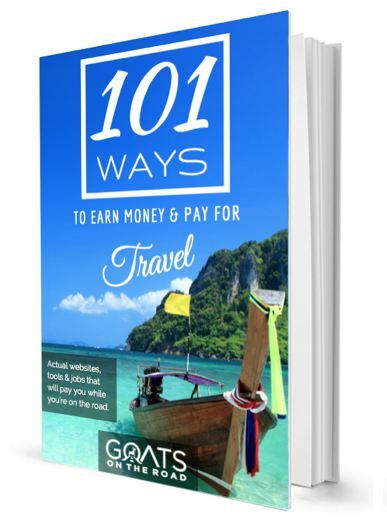 Do you have suggestion or information can share for my trip planning ? As of your experience any interesting place that I can’t miss ? Inner Mongolia is an autonomous region in China and they speak Mandarin. 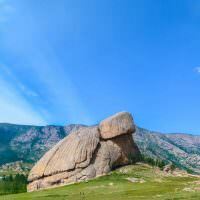 The country of Mongolia is different. There are many things to see there! The Gobi Desert is a highlight, so is visiting the reindeer tribes, any of the stunning lakes and of course, doing some trekking! They don’t speak Mandarin though in Mongolia, they speak Mongolian.